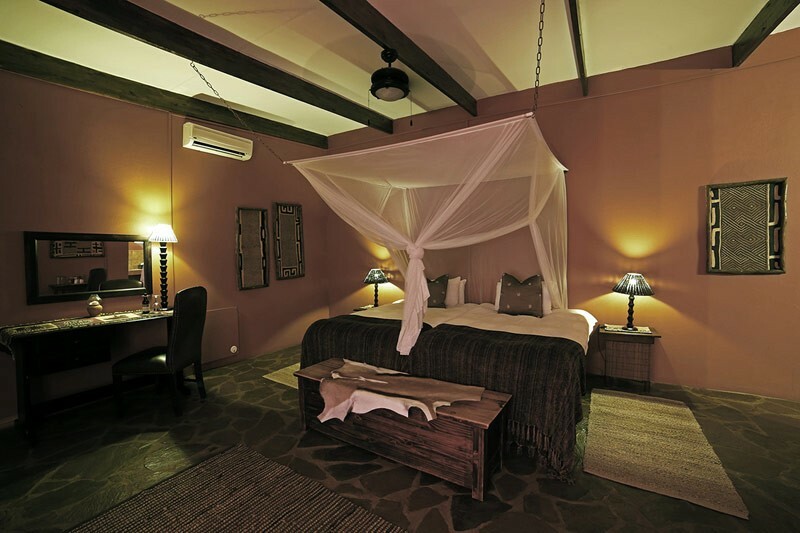 The design and décor, materials and furnishings, gardens and natural settings, all combine to ensure our guests live their dream of an African Safari. 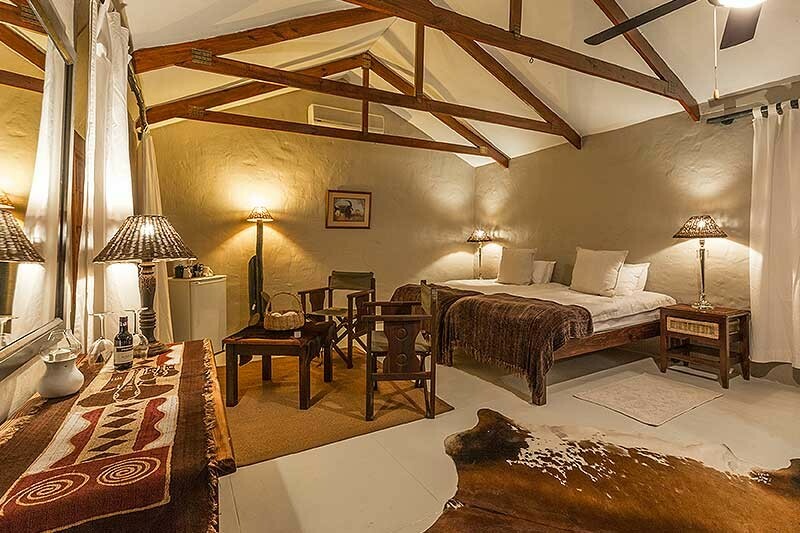 A rambling old farmhouse was extensively altered, upgraded and renovated to not only serve as a residence, but also as the main nerve center of the Lodge. An entrance hall leads to the reception, lounge, dining room, bar and cellar, library and office. Although three styles of chalets are provided, all have the same standard of luxury and finished quality. 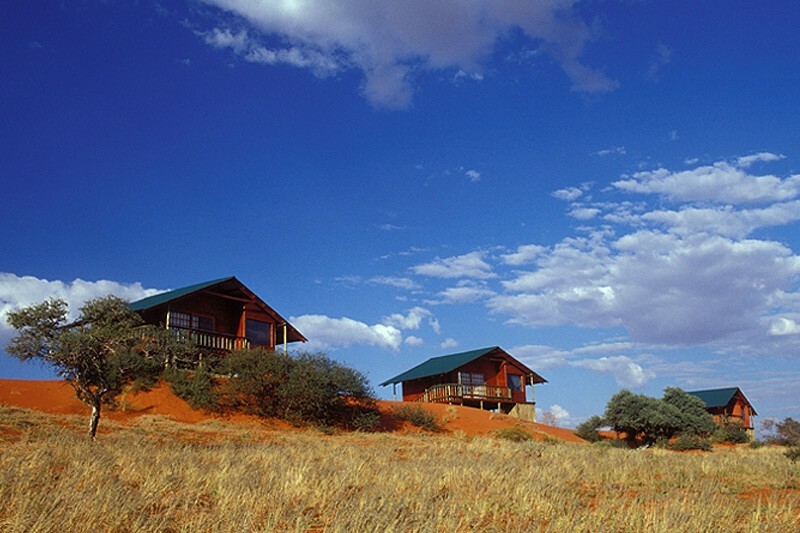 Four chalets, constructed of wood and on stilts are built on top of a Kalahari sand dune, with unsurpassed views to the Southwest. The other six chalets are built in the valley between the dunes. These chalets are built of ‘hay bales’ with walls 600mm thick, the insulation and atmosphere are equally effective and tranquil. 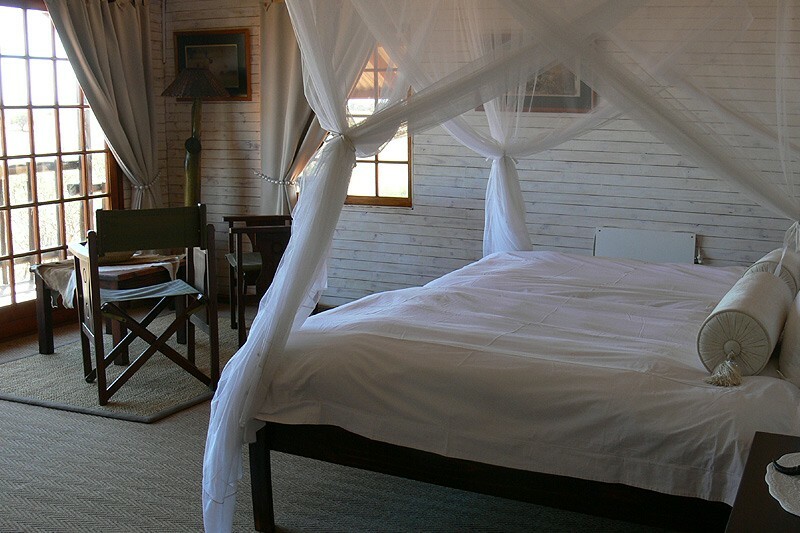 The four garden rooms are next to the lodge with a thatched verandah. 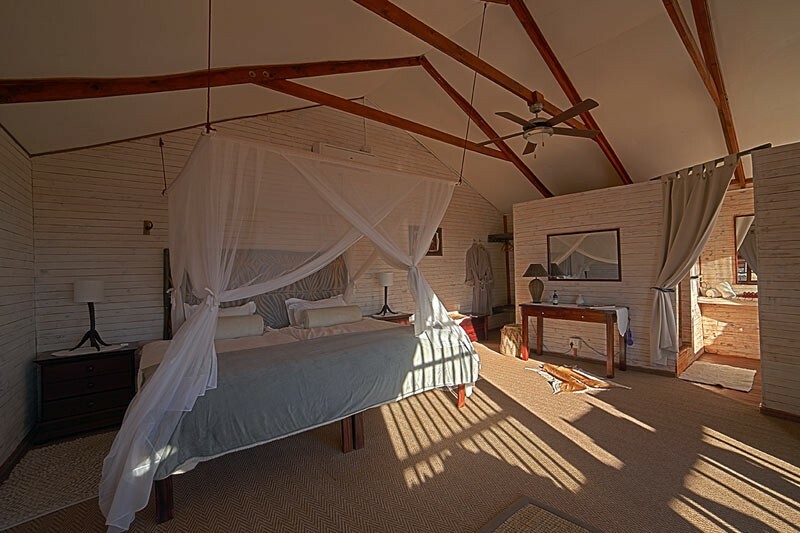 The main difference between the styles of chalets besides the construction method, is the fact that the dune chalets have a bath and shower, while the ‘hay bale’ chalets only have a shower. The garden courts are adjoined. The standard and quality of finish is the same for all our chalets, with exquisite décor and equipped to exceed your expectations. There is a swimming pool and recreation area. 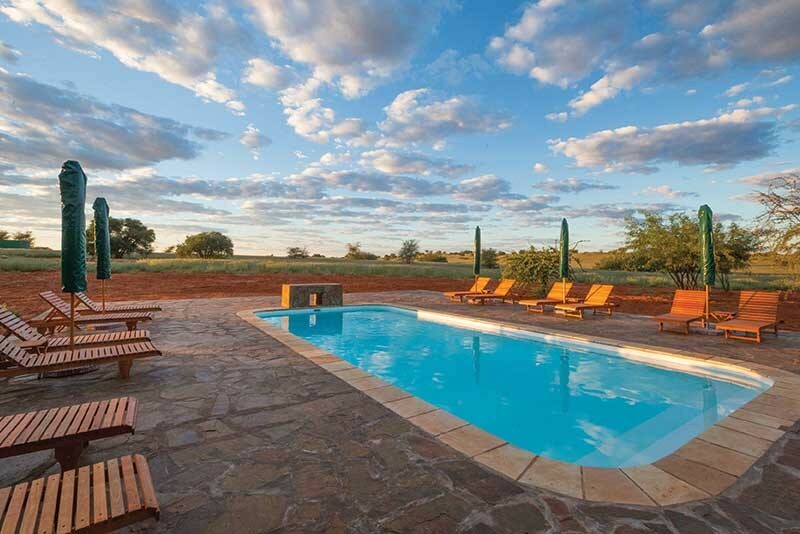 An open air boma for outdoor dinners captures the atmosphere of an African Safari. Traditional African meals are served from springbok to bobotie. 50km from Mariental on the C20 and the D1268 district roads. 270km from Windhoek on the B1 main road, turn off onto the C20 before Mariental, then onto the D1268 district road.